Totally new to Flocabulary? Watch our "How to Use" video for a broad overview of our available resources. Already know about everything that comes along with our videos, from Quick Review to Fill-in-the-Blanks to the Quiz? Then read on to learn more about the specifics of using Flocabulary for middle school and high school ELA. What videos do we have for you? Whether you're reviewing how to write a thesis, comma usage, or the plot of the Odyssey, our videos and lessons will complement any great lesson, or help you create a new one! As a middle school ELA teacher, you're in luck--we have hundreds of videos and lessons ready for you! Help students with everything from parts of speech to grammar to transitions. Common Core-Aligned strategies to improve reading and writing across the curriculum. Summaries of commonly taught books, to hook students and aid in comprehension. Improve skills needed for success in the 21st century, and across all subjects. Direct vocabulary instruction improves reading outcomes. We have direct vocabulary instruction for Grades K-8 to help your students get ahead. ELA teachers use our weekly current events video to practice non-fiction reading and practice writing. These are four common ways Flocabulary resources are used in middle school ELA classrooms. Review them to see which flavor of implementation works best for you. Have other ways you use Flocabulary for ELA? Contact us to fill us in! One Word Up Vocabulary unit every two weeks for direct vocabulary instruction. Follow the recommended lesson sequence for our vocabulary program to make use of our practice packets, assessments and creative writing extensions. Week in Rap on Fridays. A new video comes out each week. Make current events a regular Friday reward. 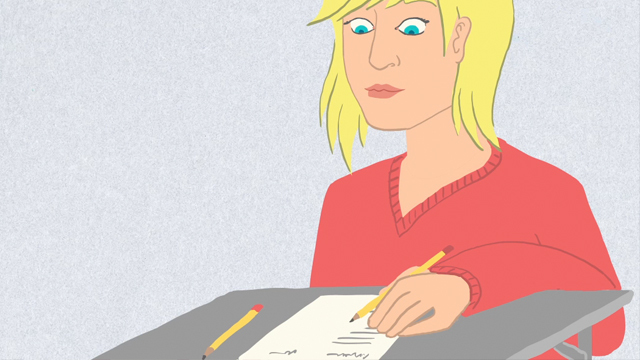 Each video is accompanied by exercises that work toward writing standards. Make sure to view our recommended Week in Rap lessons to find opportunities for informational text reading and writing practice. One grammar video each week. Weekly review of grammar concepts will improve student writing by leaps and bounds, and it's easy to connect grammar lessons to any reading you're already doing. The grammar videos are especially helpful if you have ELL students in your class. One reading and writing video each week. Drill deep on Common Core-aligned reading and writing strategies. We also recommend this 1-2 video/week implementation for teachers with rigid curricula who may not have time to incorporate Flocabulary throughout the week. Short on time? Show the Week in Rap video twice and have a quick discussion about the stories students are most interested in. More time to dive deep? Make sure students read the Interactive Lyrics and complete the attached writing and vocabulary activities. Review one topic from the week. Students struggling with subject and predicate? Have a research project coming up? Search Flocabulary videos for a topic relevant to your week, and review it briefly using the topical video. This implementation assumes you've already created your curriculum, and are looking to use Flocabulary to spice it up. 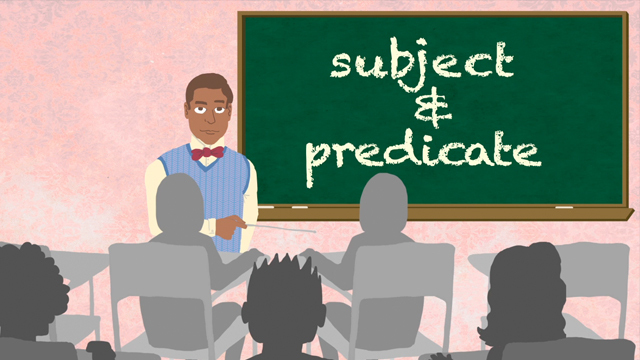 Use Flocabulary to introduce topics and check for understanding when the units are done. From a time-perspective, this is your most flexible implementation. Look over your curriculum for the year, and search for the topics you're teaching on Flocabulary.com. If your school requires you to use Common Core standards, make sure to use our standards tool to find relevant videos by standard. The amount of videos you'll use per week depends on your schedule. Show the video twice at the beginning of a unit, and do a check for understanding with Quick Review. Then follow your other curriculum. Have students read the Interactive Lyrics to review when you've completed your unit, and use Flocabulary's quiz to check for understanding. If you need to use a different test with your curriculum, you can use our quiz for further review. If you click "Key Terms" in the top-right corner of each Week in Rap video, you'll see the vocabulary and terminology that are defined in the video. You can then click on the activity for specific vocabulary practice. Practice these words once a week. If your school has a team structure where you're aware of what your students are learning in science, social studies and math, you can pull out vocabulary from those subjects to incorporate into your classroom writing. Ask those teachers what units they're covering, and click on "Key Terms" on those videos to find words for writing practice in your class. On top of any implementation schedule choice, we offer a full lesson sequence to get students writing their own academic rhymes. The lessons cover rhyme-writing to master vocabulary, telling a story and more. And we have a large selection of free beats students can use and download to perform their raps for the class. Share your ideas and requests with us! Is there a video topic you'd like to see? Contact us and let us know! Many of our most recent videos have come from teacher requests. We'd also love for you to share any creative lesson plan you've developed for your ELA class. We'll post them so that the Flocab community can learn from your example!